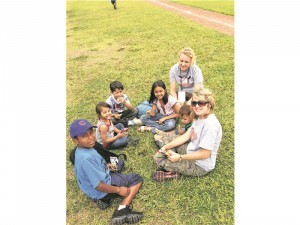 Excerpts from The Herald Weekly faith section featured Above & Beyond and a short-term mission trip by Kim Palmer appearing in the May 22, 2014 paper. Last summer, the Above and Beyond fund helped Kim Palmer raise money to go on a summer mission trip to Nicaragua. During the week-long trip, Stewards of the Game and Grace Covenant ran a baseball clinic for kids, who also got to attend Bible studies and hear from former Major League Baseball players. After the economy declined in 2008 and 2009, Grace Covenant Church found that fewer people in the congregation were going on short-term mission trips. These would-be missionaries hesitated to ask others for money. So the church got creative and birthed the Above and Beyond missions fund. Since 2010, Above and Beyond has used the endowment philosophy, incorporated local service projects, and since 2013, invited other churches to tap in. So far in 2014, the fund has helped 55 short-term missionaries from 10 churches and organizations going to 11 countries. Applicants to the Above and Beyond fund must serve locally to earn money toward their trip. Each hour of service converts to $25 of financial assistance. “We want to do our part to support those who aren’t working on a missions trip as a religious vacation, but who really have the heart of servant leaders,” Hoverson said. Above & Beyond mobilizes short-term missionaries from churches in the Carolinas. Eventually, fund organizers plan to widen the reach to the Southeast and then the U.S. 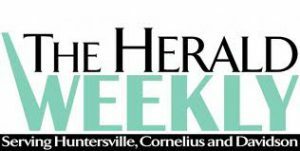 The newspaper covers the Huntersville, Cornelius and Davidson areas of North Carolina. Click here to read the full article.